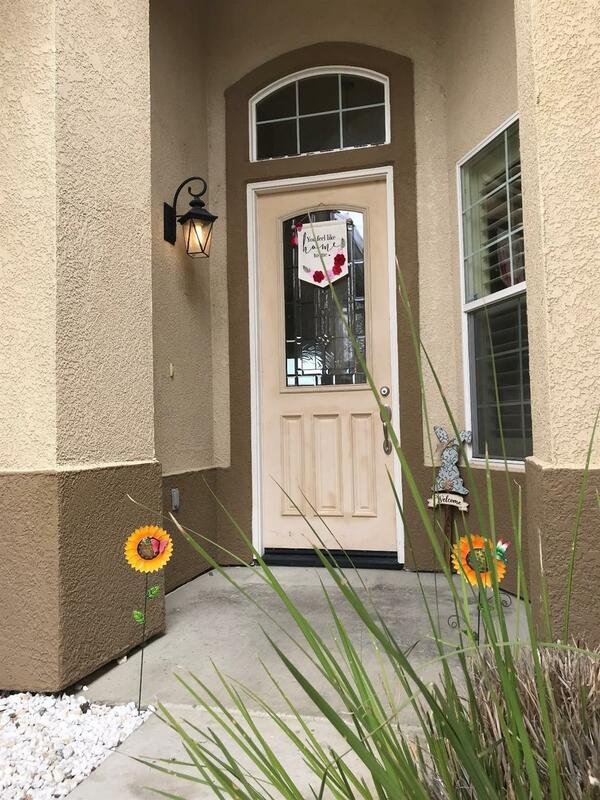 This immaculate 3/2 home is move in ready! 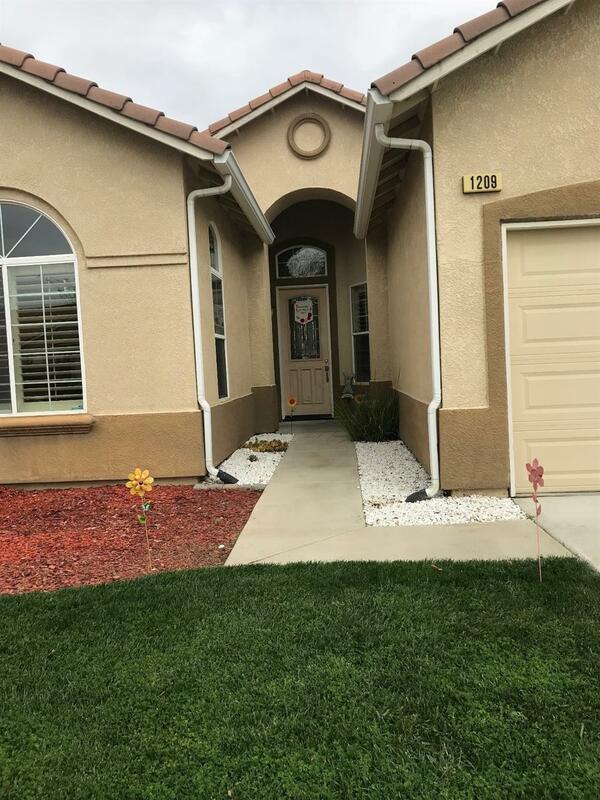 Offering a 3 car garage, tile & carpet flooring, beautiful kitchen with an Open floor plan concept, high ceilings, tons of yard for your 2 and 4 legged kidz! Great location by Golf Course! Approx. 7 miles from Lemoore Naval Air Base. Plus! 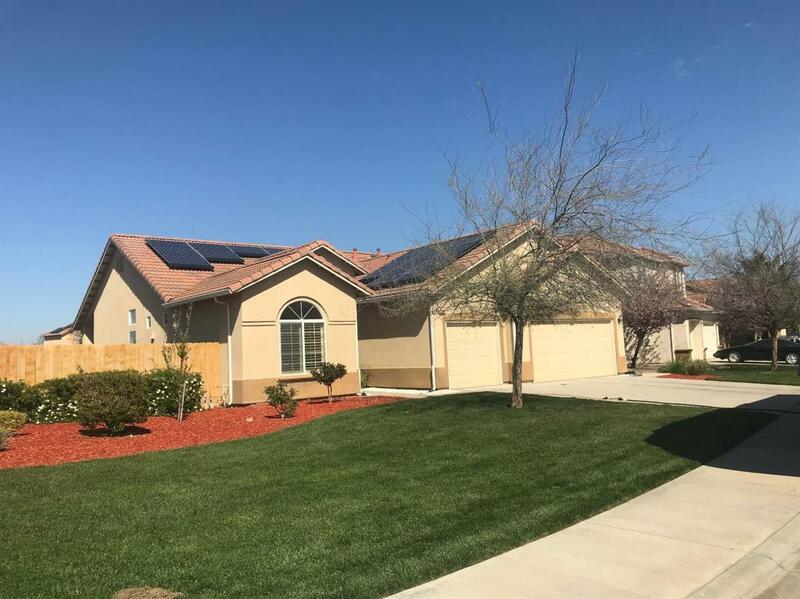 Solar panels for energy savings! Listing provided courtesy of Virginia Patrick of Century 21 Jordan-Link & Co..